Data Explorer now supports graph highlighting and click and drag operation on the timeline to zoom in to the selected timeframe. Following on to a horizontal click and drag, the side query panel will automatically update its “Time” fields and a zoomed-in graph will be spawned. A table view has been added to the existing display types on top of the existing chart types. Beyond their basic appearance, Table views are highly customizable in terms of columns they display and can amongst others allow to build computed fields in a very comprehensive manner. These advanced options for the table widget are available by clicking on the hamburger menu at the top right end of the table component. Table View Options details can be found in our Knowledge Base under this article. Custom Dimensions correspond to user defined Flow Enrichment Custom Columns. 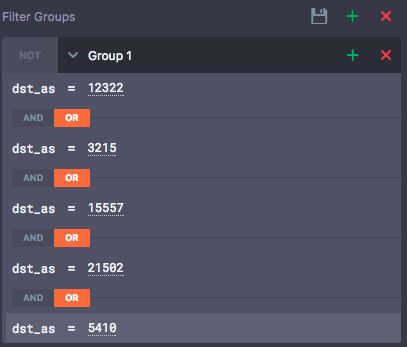 What that means in practice is that users are now able to programmatically enrich their flow data with columns (5 custom dimensions are allowed per account) that can be grouped-by, summed, max’ed, etc. Unlike Tags or Saved Filters, Custom Dimensions only affect the flows being considered in a request. Custom Dimensions provide an efficient way of breaking down your visualizations by your own business contextualized data groupings. Marking different types of customers: populating a_ customer_type _Custom Dimension based on the IP Ranges within which the customers are hosted. Marking arbitrary tiers of cheap to expensive destinations or sources by relying on source or destination ASNs. Marking Peering (paid, free), Transit, and IX traffic based on matching interface description. 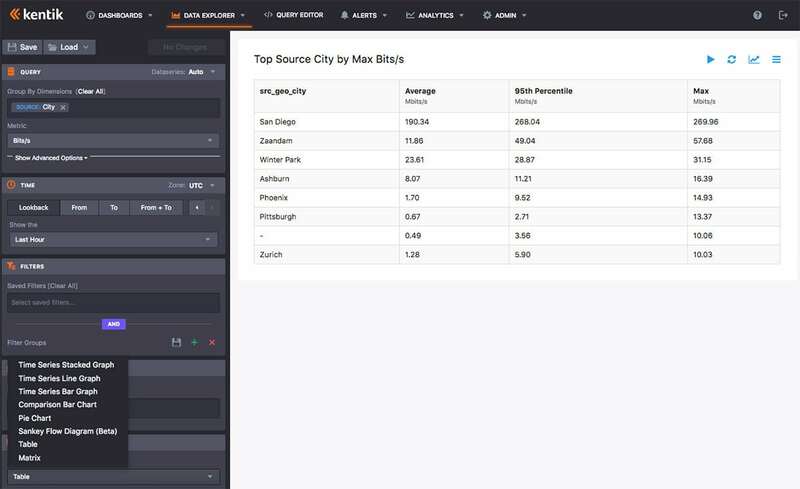 Saved Filters are a new addition to Kentik Detect’s take on how to slice and dice data in the Data Explorer in an increasingly quick and convenient manner. Remember the days where you needed to build a complex filter from scratch when going back to the Data Explorer screen? Those days are over. With Saved Filters, you can conveniently save filters you use on a regular basis and call them from the Data Explorer Filter section any time. Saved Filters to the rescue. Now you can now save that filter by clicking on the disk icon at the top of the filter group, and re-use it sometime later. 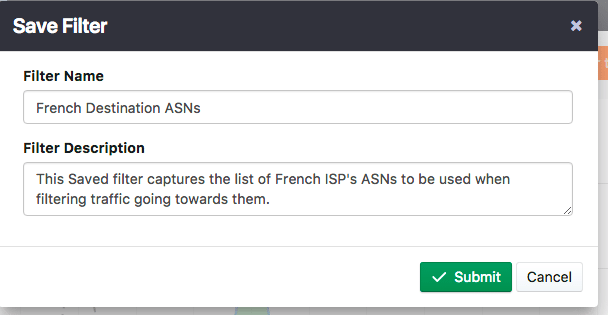 Double-click the filter’s name and you can invoke its opposite, in this case filter on any destination ASN but the French ones you previously listed! 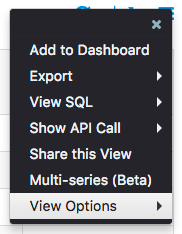 In a future release, Saved Filters will adopt a library view to facilitate collaboration and sharing, so stay tuned!